Sophia is a big ol party lover, she loves to celebrate every holiday just as much as I do. Valentine's Day is just a few weeks away so i'm busy planning a fun family date at home, with lots of crafts, baking and other fun activities for the us to do. 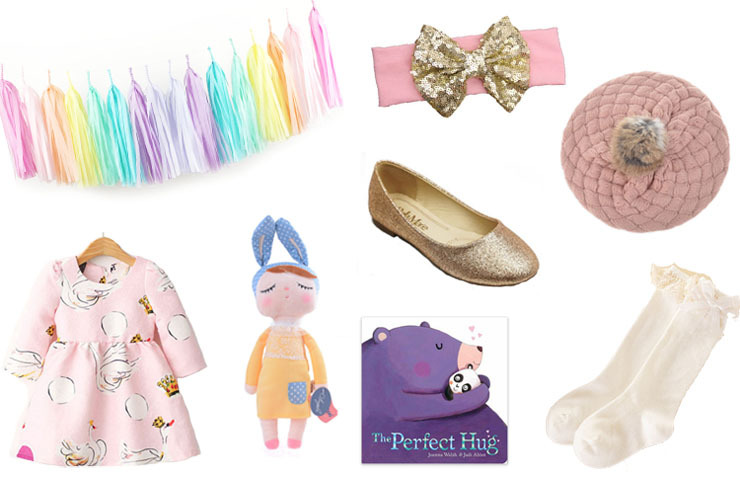 I put together a fun little wishlist ( most of which I already purchased) for Sophia to wear for the big LOVE DAY. She loves all things pink, sparkly and girly so I know she's going to love these things. One of the things I absolutely love from the list i the dress! I can't get over how gorgeous it is! Almost everything on this list can be found on eBay and the prices are insanely affordable which I love! Awesome website looks like informative. Thanks! Thanks for the wonderful post.You know halloween is one of the best festival in USA.here are some post about halloween 2017.